Our garments are exquisitely hand made with great love and care by master tailors and skilled artisans. 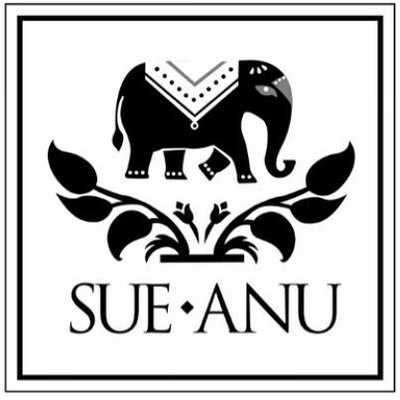 Sue • Anu uses only the finest hand loom 100% silk and 100% cotton fabrics. Our garments are lined with the softest 100% hand loom & hand dyed silk chiffon for the best quality, feel & wearability. Our stock is limited small quantities per season. Special orders will take 7-10 weeks. Enjoy the luxurious feel and durability of these unique & beautiful garments! For inquiries or orders contact sueanutunics@gmail.com, join our private group page on Facebook or check us out on instagram @suesartor...just press the links provided below. Available in hand stamped patterns: gold or pink paisley, blue alhambra, red zinnia, or gold ginko hand stamp. All have coordinating hand dyed kantha trim detail. paisley floral or dianthus floral embroidery in antique gold...wonderful options for bridesmaids for a tropical breezy or mountain wedding! Custom colors available for large orders. Front or side slit. © 2019 sueanu.com. All rights reserved.